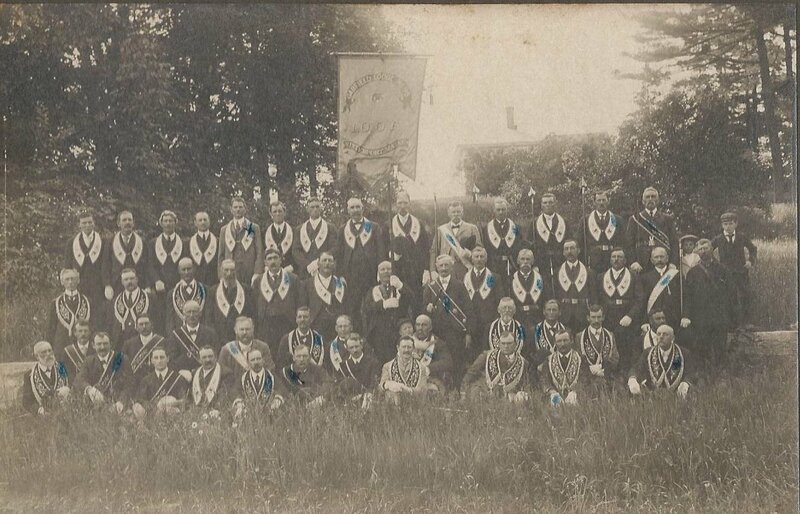 Undated photograph of the members of Garfield Lodge, International Order of Odd Fellows, at Winterport, Maine. If you have any idea of the date of this photograph or any insights into the Garfield for whom the Lodge was named, if not President Garfield, please leave a comment. 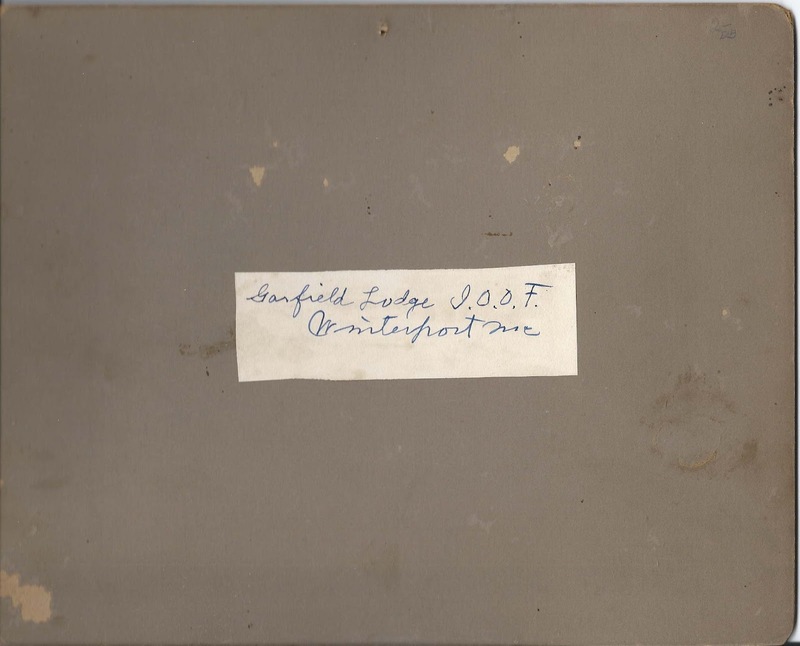 The Garfield Lodge still exists, as noted at the municipal website of the Town of Winterport, Maine. Winterport was a favored home of sea captains in years past as it was usually the uppermost point where the Penobscot River would remain ice-free during winter, and vessels were less subject to damaging storms than along the coast.